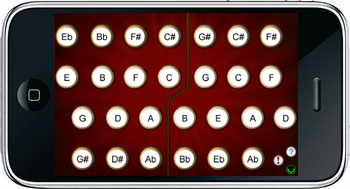 MIDItina is an English Concertina MIDI control surface for the iPhone/iPod Touch. 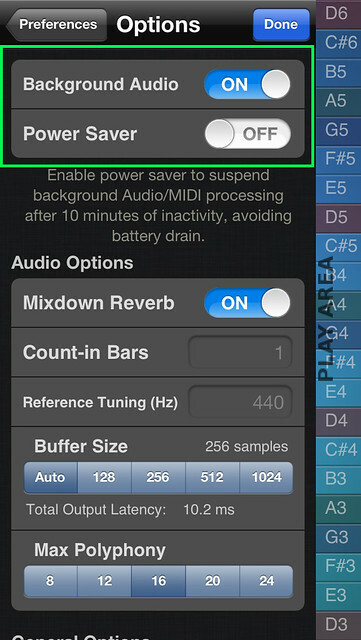 MIDItina doesn't produce any sound on its own, it is for playing hardware or software VST-style MIDI synthesizers via MIDI hardware interfaces connected to the iPad dock connector or virtual MIDI instruments like IK Multimedia SampleTank® for iOS or ThumbJam running on your iPhone. 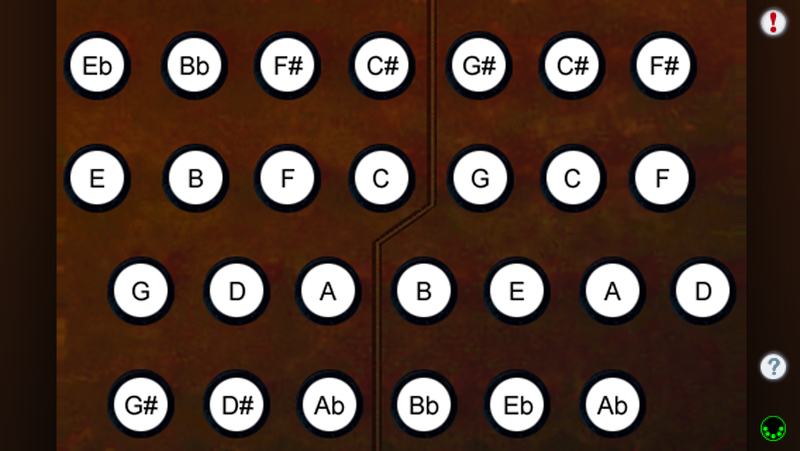 The entire range may be transposed up or down up to one octave in semitone increments using the "Transpose (semitones)" slider on the settings page. 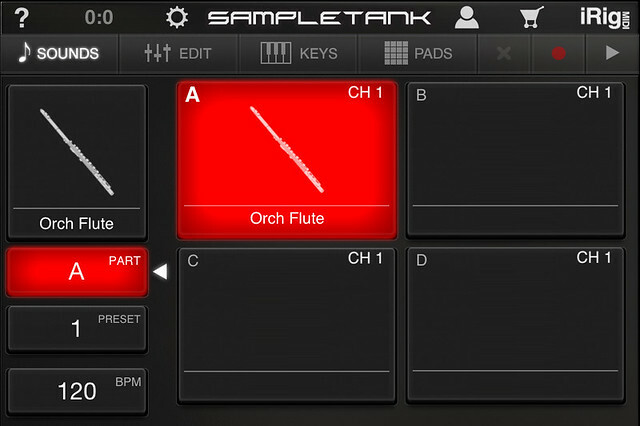 samples as a free in-app downloadable patch! Set the transmit channel using the MIDI Channel slider. Any channel from 1-16 may be selected. Channel 1 is the default. 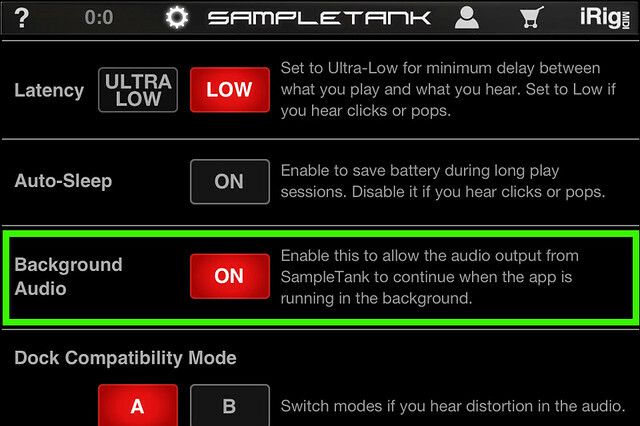 Multiple devices can simultaneously talk to the MIDI synth, just make sure each device is on its own MIDI channel. Choose between "Omni" sending MIDI data to all CoreMIDI apps or "Virtual Port" sending to a named CoreMIDI virtual output port. 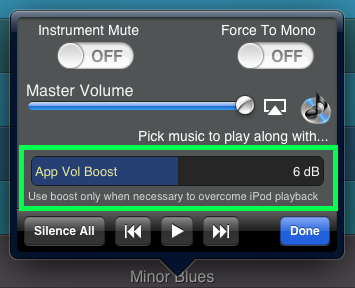 When the "Virtual Port option is selected, MIDItina will show up as an input option labeled "MIDItina" in apps that support virtual ports like Sonosaurus ThumbJam and MIDIBridge. "Omni" mode is selected by default. If you want to transpose the pitches being sent out, you may set a transpose value up to +/- one octave in semitone increments on the Transpose (semitones) slider. No transpose is the default. Note-on events are sent with a fixed velocity. Set the velocity using the Velocity slider. Any value from 0-127 may be selected. Default value is 100. MIDItina can send Volume, Expression, Modulation, or Breath Control message by tilting the device to the right or left. All settings are saved when exiting MIDItina and restored the next time it is run. 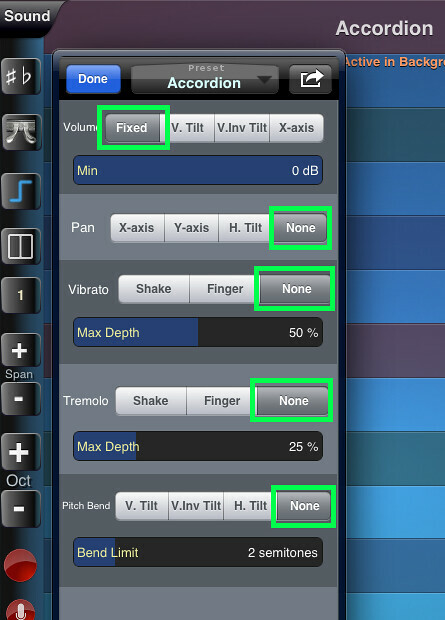 You can slide between notes, this can be very useful for all kinds of percussion and other effects. There are several notes on the English Concertina button map that are duplicates: the first and second octave G#/Ab as well as the second octave D#/Eb. These are great to use for percussion sounds where you want to be able to stike the same note quickly. 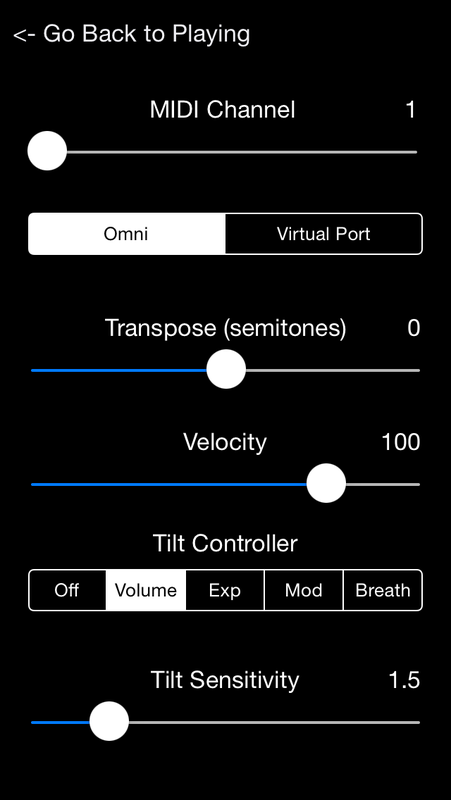 Use the transpose feature and the settings on your synthesizer to map these notes to the sounds you require. Q: What are the MIDI note number ranges? 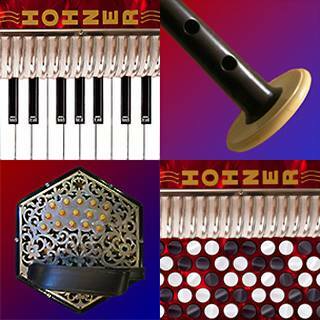 A: The English Concertina layout note numbers range from 62 to 85, the chromatic and number layouts from 60 to 86. These values may be tranposed up or down one octave in one semitone increments using the Transpose (semitones) slider on the settings page. Q: What are the available MIDI realtime CC controller numbers? A: Volume (7), Expression (11), Modulation (1), and Breath Controller (2). Only one realtime controller may be enabled at a time. Q: Where can I learn more about how to play the English Concertina? Q: Now that I've learned the English Concertina fingerings for some tunes on the iPhone/iPod Touch app, I'd like to buy a real instrument. Who do you recommend? I am very interested in any suggestions for features or improvements to MIDItina for future updates, please drop me an email anytime with your ideas!